Click on picture on the left to download registration form. 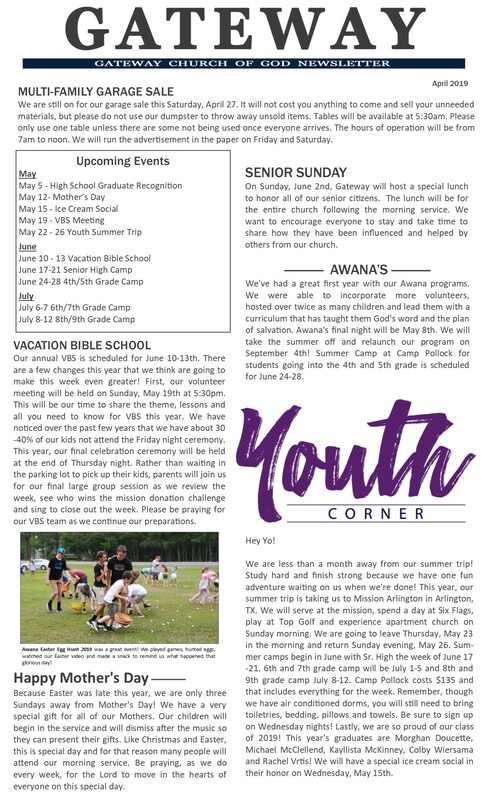 Click on the picture to the left to read the newsletter. We would love for anyone of any age to come for a brief time of coffee, fellowship, prayer and testimony. Thank you to all that were involved in making this so successful. Gateway sent over 600 boxes in 2018! Check-in is located in the lobby of the Sanctuary and be dismissed at the beginning of the service.